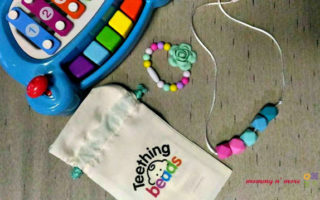 Home / Mommyhood / Organic and Preservative-Free Oral Care with Buds® Baby Organics Children’s Toothpaste! This post is brought to you by Buds® Organics. All opinions are mine. All trademarks and trade dress mentioned in the text are acknowledged and belong to their corresponding owners. 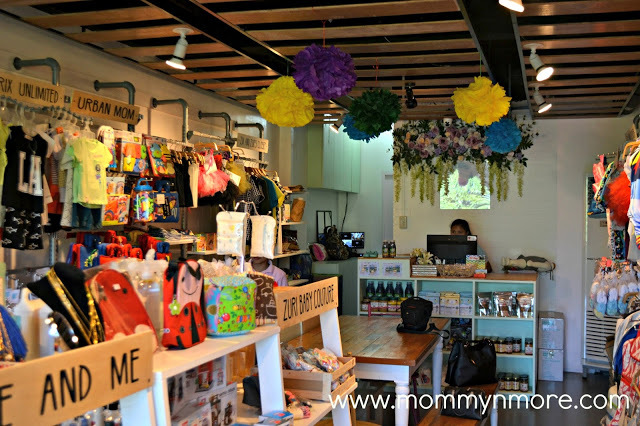 I was recently introduced to Buds® Baby Organics, a Malaysian brand of organic personal care products for babies, toddlers and children that include a line of shampoos, skincare lotions, organic oils and toothpaste gels. Buds Organics also has mommy products like breast massage oil, nursing salve and soothing belly cream. These products are all certified organic by ECOCERT in France, a recognized certification body with strict standards for natural and organic products. 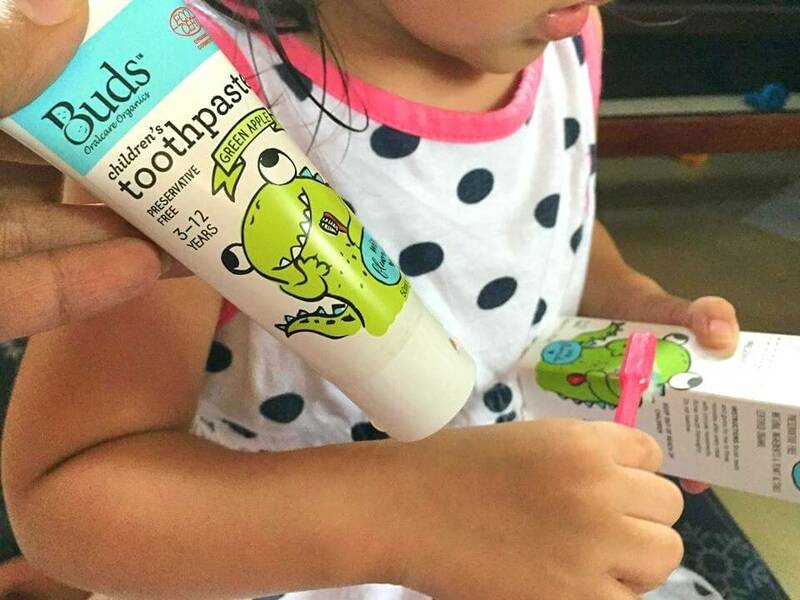 Last week, my little girlie got to try their Buds® Baby Organics Children’s Toothpaste (3-12 y/o) in green apple. She was really excited to try because of the colorful packaging.She insisted that the figure on the box wasn’t a monster but a lizard. She actually wanted to brush him too! It is made with natural and plant-derived ingredients. The apple flavor is great! My little girlie seems to like tasting it. When it comes to brushing, if your little one is used to a lot of foam when brushing or the white color of his or her toothpaste, then this product needs a bit of getting used to. It doesn’t make a lot of foam and it’s clear and gel-like. But, I read that the foam from toothpaste is usually from SLS (sodium lauryl sulphate), which maybe irritating in prolonged contact. So having not much foam is actually a good thing. This product would be a great choice especially if your little one loves to swallow a lot of toothpaste. Buds® Baby Organics Children’s Toothpaste also comes in other flavors: Black currant, Strawberry and Peppermint. 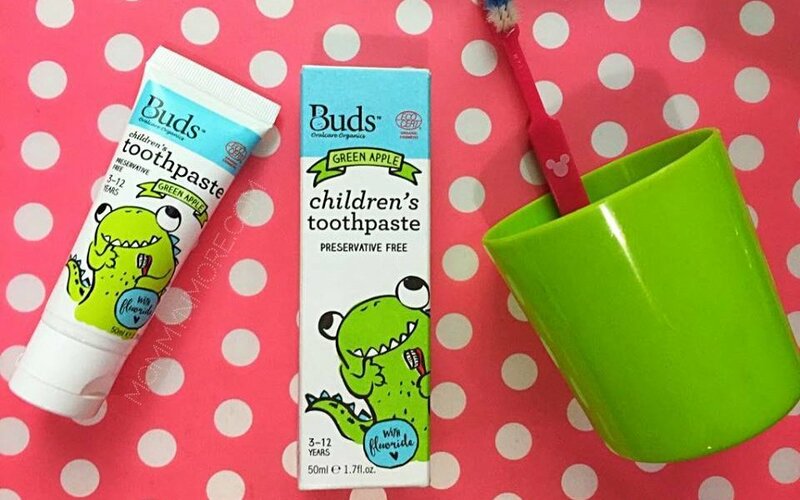 Aside from their children’s toothpaste, Buds® Organics also has Oral Gel for Baby Teeth for kids less than a year old and Children’s toothpaste with Xylitol. You can get Buds® Baby Organics Children’s Toothpaste from Lazada or the Buds® Baby Organics website.